I was born in Beijing, China. My grandfather named me Dandan (丹丹), after our national flower, the red peony. I was the youngest of 8 grandchildren and the only girl. Grandfather said, she's one red peony in a sea of green foliage (万绿丛中一点红). China in my childhood was a socialist country. The government was ruled by the Communist Party, led by Mao Zedong, known to the world as Chairman Mao. Eighty percent of the population in the country were peasants, living in baren, remote villages and mountains. Their children didn’t have schools. The government owned everything. Feeding the whole population was all but feasible. Against this social and economic background, I was considered very lucky to have been born into an elite family of intellectuals. Later in life, I would feel tremendous shame and guilt about this. 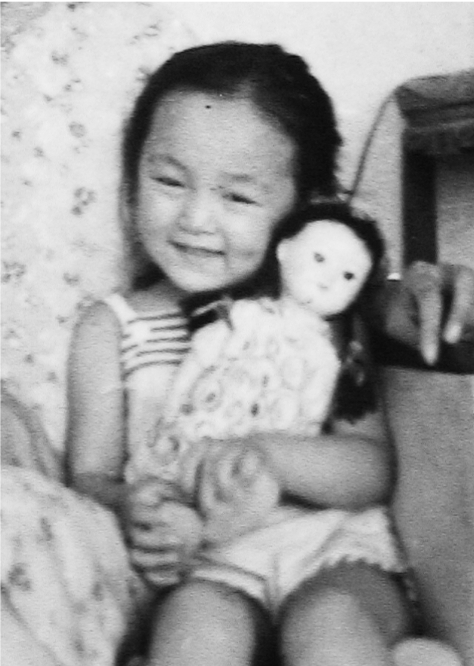 Compared to the vast majority of the population in China at that time, my childhood was infused with privileges. My grandfather was a well-known doctor, reputed for treating and curing rare illness cases which other doctors deemed untreatable. Because of his name, many famous people in China came to him for treatment, including the last emperor, Pu Yi, after Pu Yi became an average citizen of China. After the Communist Party took over the country, Grandfather had to close down his private medical practice, along with all privately owned establishments. The government assigned him to be the chief physician in the Navy Hospital. During the week, Grandfather did not come home. The Navy took care of his daily life. On Sundays, two young sailors from the Navy would take Grandfather home in a shiny black sedan. Back then, cars were a rarity in China. All automobiles were owned by the state. Private cars were not allowed. When kids saw a car passing by, they would excitedly run after the car until the car disappeared from their sight. Grandfather coming home in a beautiful car became a weekly big event for the neighborhood children. Before the car arrived with Grandfather on Sunday mornings, the neighborhood children would gather outside of our home to anxiously wait for the car. Once the car appeared at the end of the street, and became bigger and bigger, the children would cheer and wave. When the car stopped, the children would crowd around the car to look inside, their noses pressed against the windows. After the sailors accompanied Grandfather to inside, the children would wait around for the sailors to come back out. When the sailors came back, they would wipe the little handprints off the car, and polish the car until again you could see your own reflection on it. Then the sailors would stand at attention, waiting to take Grandfather back to the hospital. They stood with their chins up, backs straight, and eyes steadily casting forward. In my mind, I can still clearly see the sailors in their crisply pressed white uniforms, with blue striped collars. Two inscribed black silk ribbons at the rear of the sailor cap would sway with wind over their shoulders. As a little girl, I was absolutely fascinated with these sailors. Up to this day, navy is my favorite army forces. Once the Cultural Revolution started, all this would become 'evidence' that Grandfather exploited working class people and should be considered as people's enemy. When the Red Guards took over the hospital as part of 'revolutionary rebellion', Grandfather was tortured into a coma. He never regained consciousness. But I’m getting ahead of myself. My earliest memories were the huge mahogany plaques like this one hanging on our walls. Our home was in a classical architecture style, referred to as four-in-one style residences. It's a key characteristic of Beijing dated from the Ming Dynasty. It has four houses facing each direction, surrounding a courtyard, with a red gate and high walls. My earliest memories of the residence were the huge mahogany plaques hanging across our walls. They had Chinese calligraphy engraved on them. These were from grandfather's patients, grateful for their treatment and cure. They appeared so grand, heavy, and serious. One of the plaques was on the wall directly above my bed. It read 妙手回春, roughly translated as "Your magic brought back my vitality." These four characters were the first Chinese characters I learned to read and write. They are permanently engraved in my brain. Dad was an engineer and professor. Dad was an engineer and professor, educated in the prestigious Beijing University. He was an authority in research on energy efficiency. He was one of the most desired speakers in academic and trade conferences. He wrote textbooks and published numerous papers in his field. Dad could eloquently speak to an audience of thousands with ease, without having to consult written notes. He was known for lacing his academic lectures with humor and making dry technical content engaging. Dad was also extremely handy. He could build and fix just about anything. In contrast, traditionally in China, many educated men either would not or could not do anything with their hands. Dad was very handsome. He was popular with his peers and his students alike. Mom is from a coal miner's family and grew up poor. She lost her dad at 3 and her brother at 15 to mining accidents. Her sister-in-law married away not long after her brother’s death, leaving my 2 young cousins behind. Mom practically raised those 2 boys since she was 15. Mom is smart and popular. In high school, she would be voted as class president every year. Mom could not afford college. She went to an accounting trade school by working odd jobs at night. She became a licensed accountant in the university where Dad worked. Mom and Dad met at a dance in the university. Mom's beauty dazzled Dad and Dad's intellect and sense of humor attracted Mom. They were married a few months later. The university where Mom and Dad worked was part of the Ministry of Energy in China. One of the privileges I had as a child was growing up in a boarding kindergarten owned and operated by the Ministry. My brother and I lived in this kindergarten Monday through Saturday. On Sundays, Mom and Dad would pick us up and take us to the famous Beijing Zoo, Summer Palace, Forbidden City, and eat at various restaurants. It was a tremendous privilege in many ways. At the time in China, a lot of children hardly had enough to eat, let alone going to kindergartens. Many children started working at an early age to help their parents, working on farms, raising animals, cooking, cleaning, and fetching water. It wasn't uncommon for a 6 year old to babysit their younger siblings while their parents worked in factories or on farms. At that time, foods like pork, chicken, eggs, and milk were rare and expensive. They were considered luxuries. Some children were lucky enough to have those foods once a year, on Chinese New Year. Others never even tasted any of these foods. The teachers in the kindergarten were strict and fierce. The stern boarding school headmasters you would see in movies or read about always remind me of those rigid teachers in my kindergarten. They never smiled. I was scared of them. All children were scared of them. If a child did not obey the rules, the teacher would ask the child go up to stand in front of the class, bringing their own ruler with them. The teacher would ask the child open their hands, and beat the child's hands with their own ruler, while telling the other children to not follow the example of the offending child. If the child being disciplined started crying, they would get additional ruler beating. As a child, I hated milk. Milk made me nauseous. But not drinking milk was not an option in the kindergarten. We were to eat and finish everything put in front of us. Every morning, I would swirl the milk in my bowl in my right hand, close my nose with my left hand, force down a sip, and put down my bowl and breathe. Once the other children finished their breakfast, the teacher would keep me at my breakfast table, and watch me to force down my milk, until the last drop in my bowl. Some days, just the smell or the look of the milk made my stomach turn. I would tell my teacher I was not hungry and did not want any breakfast. The teacher would take everything else away, only leaving the milk. I had had days where I would sit at my little table all day, staring at my milk bowl, my stomach turning, skipping lunch and dinner. Thinking back, I could still see the room and the teacher in my head. I could see one morning, that little girl, sitting on her little stool, eyes casted on the floor, nodding her head and murmuring to herself, I can’t drink my milk, I can’t drink my milk. A teacher walked up to her, pressing her head up and down, up and down, with great force, while yelling: “You like to nod your head? I’ll give you all the nods you want.” The little girl’s neck was in such pain that after days, she was still afraid of moving her head to any direction. I had one doll growing up. Most children at that time did not have any toys. We literally played with dirt everyday. But I was lucky enough to have one doll. I named her Ling Ling. She was my most treasured possession. Each time before I could play with Ling Ling, Mom would have me scrub my hands with soap and change into clean clothes. I was never allowed to sleep with Ling Ling or take her outside. We wanted to keep her clean and new. At one point, Dad brought home a beautiful red toy car. It was an expensive gift from one of the grateful patients of Grandfather. The car came in a clear case. Dad left the toy car in its case and placed it on a high shelf that Brother and I could not reach. Dad told us to never touch the toy car, so it would remain shiny and beautiful. I can still remember to this day how I wanted to touch and play with the toy car. As the capital, Beijing had the best schools and teachers in the country. Two of the most elite primary schools in Beijing were First and Second Experimental Primary Schools (实验小学). These schools experimented with more advanced teaching principles and modernized teaching methods. Admission was fiercely competitive. To get in, children needed to go through a whole-day entrance exam. Mom and Dad did not take my brother to these tests. He went to a boarding primary school, also owned and operated by the Ministry of Energy. When I turned 6, Mom and Dad decided to take me to the test to try my luck. That year, the school had 20 openings for first graders. When we got there, hundreds of families already filled the entire playground. My memories of the tests have long been faded. I just remember going through a half dozen rooms, each with its own theme, while our parents waited outside on the playground. In one room, the teacher showed us a picture and asked us to form a story and tell the story out loud, within certain time limits. In another room, a teacher did a dance. We had to repeat the dance with all the detailed movements. In the final room, there were several teachers standing around. They were there to struct a 'free form' conversation with us, to see if we had the personality to handle such an occasion. Some of the children started crying seeing all these adults, without their parents close by. Those children did not get admitted to the school. By the end of the day, all parents and children gathered on the playground again. A stage had been set up with long tables. The administrator announced the final 20 admissions. If your name was called, you would climb up on the table - so everyone including all the children could see you - and bow to the crowd. When my name was called, I knew, without looking, Mom and Dad's faces were filled with pride. In China, parents place great hopes and dreams on their children. They almost view their children as their own incarnation. Their children's successes are their successes, and their children's failures are their failures. That day I made Mom and Dad proud. There would be other occasions where I made them proud, but there would also be many occasions where I brought them great disappointments and broke their hearts. The school was about 10 miles away from home. Since both Mom and Dad worked full time, I needed to take public transportation to go to school and come home by myself everyday. There were no school buses in China at the time. The week before school started, Mom and Dad took me out and bought a monthly bus pass for me. I had to take a photo to be pasted on my pass as the passes were not transferable. Mom threaded a pretty pink ribbon through a small hole on the plastic cover of the pass, so I could hang it around my neck to easily show my pass to the ticket agent on my bus. Next, Mom and Dad and I walked to the bus stop, which was about a couple of miles away from home. They showed me how to trace my route by memorizing unique buildings and other landmarks along the route. Then they asked me to walk by myself, with them trailing behind, to test my memory. Once I got the whole route down, I walked once again to time the walk. Then we got on the bus to familiarize myself with the 7 bus stops on route to school. Mom picked out one landmark for me to memorize at each stop. She told me if at any stop, I didn't see my mark, I'd know I either missed my stop, or I got on a wrong bus all together. When the night before the school's first day came around, I was excited and nervous at the same time. The next morning, Mom made a special breakfast for me with my favorite, a hard fried egg, before she and Dad left for work. I finished my breakfast, hang my bus pass around my neck, making sure my photo side was visible, picked up my book bag that Mom had placed next to the door, and got on my way. When I got to the bus stop, it was already overcrowded with people rushing to work. There were no lines. People stood next to each other, forming a mass. When the jam packed bus came, the whole mass moved forward toward the bus doors. People on the bus who had reached their destination barely had room or time to step down onto the sidewalk. Sometimes people would get pushed back onto the bus and could not get off at all. By then I had taken crowded Beijing buses countless times and I was already a veteran bus taker. I knew how to not be pushed aside by the grownups. Taking advantage of my small child frame, I would look for voids among the grownup legs and squeeze myself in, to be carried by the mob onto the bus. We had a light first school day, mainly getting to know each other and assigning seats. The seats were assigned in the order of our body height, with shortest occupying the front rows and the tallest sitting in back rows. I was the second tallest kid in the class so I sat in the very last row. We took photos to put on our school IDs. Small badges with our school's name were handed out. We were to pin the badge on our left chest. Without the school badge properly pinned on you, you were not allowed to enter the school. Everyday, after I got home from school, I stayed home by myself and did my homework, until Mom and Dad came home from work. Through the experience, I learned to watch my surroundings, to tell danger from friendliness, to be independent. In China back then, athletes were hand picked and trained by the government. Training started from a very young age. The government placed great expectations on these selected few. They would be trained to compete internationally, to show the strengths of Communist China to the 'imperialist countries' in the West. One day in first grade, teachers told us to ask our parents if they would agree for their children to be trained as professional swimmers, should their children be picked. There would be daily training after school. The students would need to go to the training site from school, and going home from training. If the parents were not available to do the drop off and pick up, they should make sure their children were capable of going back and forth by themselves. A couple of days later, those of us who had obtained agreement from parents, and who had grades above a threshold, were called to the playground. Two men and one woman were standing there. I had never seen these people before. The teachers told us they were there to evaluate us and to select 2 first graders to be trained for swimming. The evaluation did not involve a pool at all. They didn't care if you could swim already. They would rather train you from a clean slate. They wanted kids with potentials. We were asked to stretch, jump, run, and do flips, cartwheels, splits, and so on. Then they took our body measurements. Afterwards, they called out 6 girls including me, and excused the rest of the kids. They told us that they needed to meet our parents. They wanted to make sure our parents had athletic bodies as adults, and were not too short or too tall, too skinny or overweight. They wanted to gauge what we would be like as adults. They also wanted to inquire about our siblings and other blood relatives, to ensure there were no family history of genetic diseases. After the home visits were done, I and another girl from my school were selected. Training started. Every day after school at 3pm, I would take a public bus to go to training. At 6pm, I would take a different bus to go home. After dinner, I would do my homework. I was not allowed to miss any homework before going to sleep. My bed time could be anywhere from 9pm to 12am. One day I would realize this training gave me discipline, tenacity, and perseverance, which allowed me to deal with many ups and downs later in life.